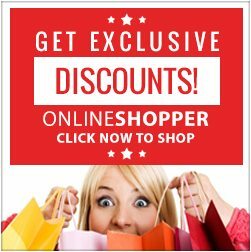 Are you tired of hearing about all of the insane features in single cup coffee makers? Whatever happened to regular coffee makers that do all of the work for you? 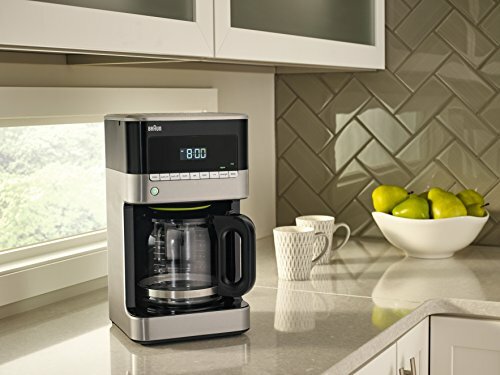 The Braun Sense Coffee Maker combines the benefits of both single cup coffee makers and traditional percolators. 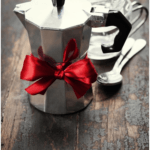 This gives you the perfect pot of coffee every single time. All you need to do is buy your favorite type of coffee, fill the unit up, push start or program the unit. You’ll then get ready to enjoy a cup so delicious that only a high-end café would be able to create. 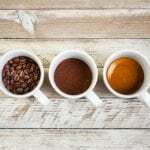 Creating great tasting coffee every time: If there’s one thing that is more noticeable than the other features, it’s that it consistently delivers a bold and rich flavor depending on the type of beans you use. In addition, you can also adjust the taste settings to achieve a stronger or lighter brew. 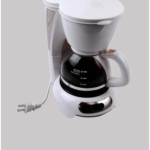 Very quiet operating noise: With its low operating noise, you’ll easily be able to brew a cup of coffee without waking up the household. Moreover, if you have the coffee maker near your room and it’s on a programmable timer, you won’t have to worry about the sound of boiling water disrupting you in the mornings. 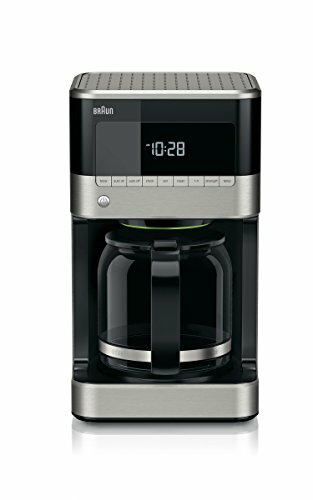 The digital display makes it easier to adjust settings: As mentioned, this Braun coffee brewer combines the features of a traditional percolator and a more modern coffee maker. This is easily seen with the digital display. You’ll have the opportunity to easily adjust the settings of your coffee maker depending on your preferences. For example, adjusting the temperature of the heating plate can be done through the digital menu. 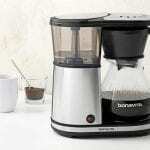 Evenly dispersed water for clean brewing: A large issue many people experience with other coffee makers is their inability to evenly disperse the hot water to use all of the coffee beans in the pot. Luckily, this brewer offers the perfect water distribution that not only reduces “splashback,” but that also ensures every grain is submerged perfectly. Experiencing a plastic taste on the first use: It is imperative that you not only wash the carafe before your first use but also put the system through a self-clean prior to brewing your first pot of coffee. Otherwise, you’ll be faced with a pot that has an unappealing plastic taste only for your first couple of uses. Strange taste after warming with the heating plate: The warming plate is useful for keeping your coffee warm for up to four hours, but it is advised that you do not restart the warming plate regularly. 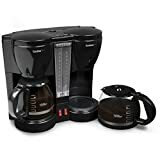 This like any coffee maker will cause your previously brewed coffee to stay warm for too long and acquire a stagnant taste that soils the entire pot. A larger design that is not recommended for smaller kitchens: It is important to note that this brewer is eight inches wide, eight inches deep, and 14.2 inches tall, making it a relatively larger unit for homes with little to no counter space. If you’re looking for a smaller coffee maker that can easily tuck away in the corner of your kitchen, this may not be the design for you. Coffee Strength Selector: There’s no better way to create a personalized cup of coffee than to be able to select the strength of the brew you want to enjoy. Instead of creating a simple pot of coffee that might not be as rich as you desire, be sure to use the coffee strength selector. Digital Control Panel: Designed to be incredibly user-friendly and to give you access to all of the features you need in one convenient location. Thus, the digital control panel is phenomenal for mastering the art of making the perfect pot of coffee. The digital control panel allows you to adjust the temperature of the warming plate, strengthen your brew, set a timer, and more. Anti-Drip Function: If you’re in a rush in the morning, the last thing you’ll want to do is wait for an entire pot of coffee to be brewed, especially if you forgot to set a timer the night before. The anti-drip function is designed to allow you to remove the carafe at all stages of brewing without worrying about coffee spilling all over the counter-top. 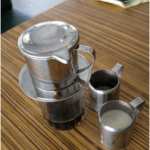 All you have to do is pour your cup and replace the carafe to continue collecting the brewed coffee. 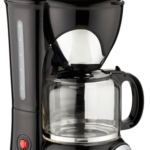 PureFlavor System: Above all else, the most notable feature of this coffee maker is its PureFlavor System, which is specifically designed to give you robust flavor with every pot. With the combination of the perfect temperature and water dispersion, your coffee will have a fuller taste until the last drop falls out of the unit. 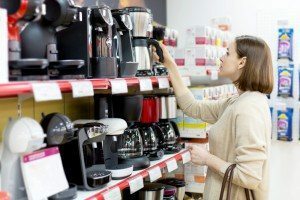 When comparing the Braun Brew Sense to other coffee makers on the market, there are three main things to take into consideration: features, quality of brew, and water heating. Features: The Braun Sense brewer surely outperforms when discussing features, as it gives you access to a variety of customization options but creates a powerful cup of coffee all on its own. From the brew strength selector to the anti-drip system, it packs a powerful punch that is hard to beat. Quality of Brew: Aside from the fact that the evenly dispersed hot water encompasses the true taste of your coffee, you also have the ability to completely adjust the strength of your drink. 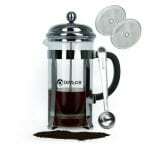 This helps to make the quality of brew superior, as you have complete control to create the perfect pot every time. Water Heating: The average pot of water will be 178 degrees, which is the perfect level of heat to avoid burning and lukewarm coffee. Other coffee makers may heat the water far too high or far too little, which can surely ruin your morning cup of caffeine. There are plenty of things to use to your advantage when it comes to the Braun Sense coffeemaker. 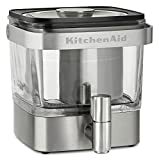 It offers an extensive list of features, both inside and outside of the unit, that are designed to create the perfect cup of coffee every time. 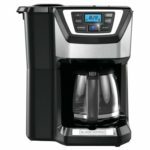 With many benefits and a few disadvantages, it’s easy to see why this would be the ideal coffeemaker for homes and offices alike.